Modifiers are a critical component of coding; using modifiers correctly can reduce the risk of lost revenue and improve audit compliance. However, using modifiers incorrectly can result in lost revenue and increased claims scrutiny. You should already know the basics of modifier usage. This session will provide a deeper look into some of the most risky modifiers; risky because of their common inappropriate appearance on claims. 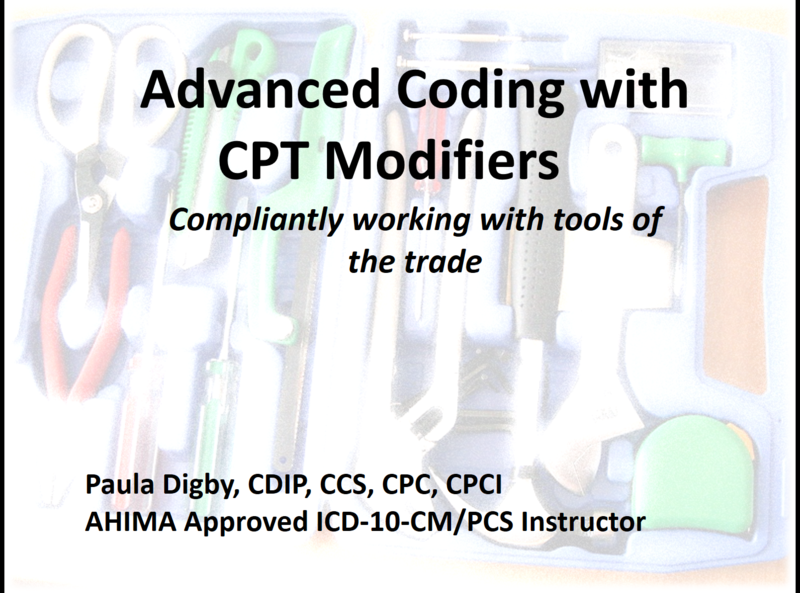 Paula Digby will address both proper and improper utilization of high risk modifiers -22, -25, -26, -50, -59, and -62.